Ham is traditional for Christmas. The sweet and salty meat can be prepared so many ways. Unfortunately, many hams are dried out by the time they get to the table. Not with these recipes! Ham is an expensive cut of meat, and you don't want to ruin it by overcooking, or by cooking it until it dries out. If the ham comes with instructions on how to reheat it, follow it to the letter. Garlic, chutney, orange, and Dijon mustard combine to make a spectacular glaze for this spiral sliced ham. A spiral ham is a very popular cut. This type of ham is already sliced and cooked, and it comes with a packaged glaze. This recipe adds a second glaze, and the ham is cooked cut side down so it stays moist and tender as it roasts. This is the ham of your childhood, boosted with some Dijon mustard for a little spicy note. You can place the glaze from the roasting pan in a gravy boat and pass it with the ham for the perfect finishing touch. Peach preserves and spicy hot mustard add marvelous flavor to this tender roast. This is an excellent recipe to use on plain hams or spiral sliced hams. 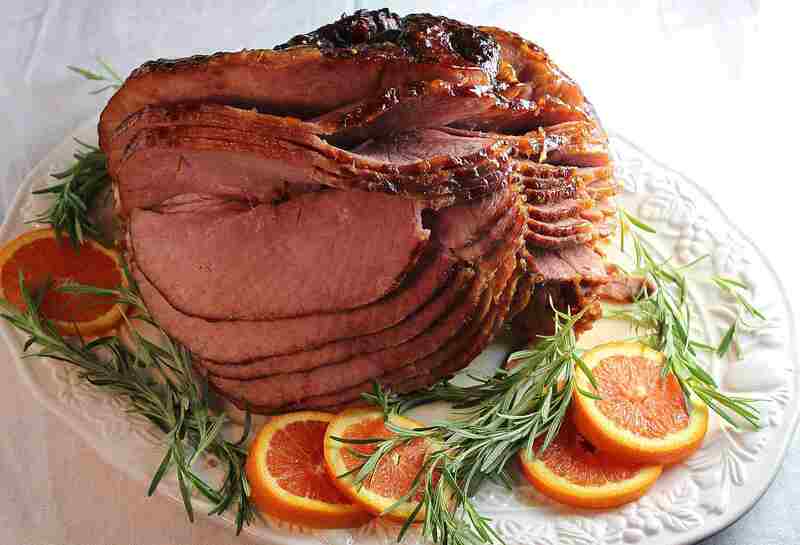 Honey, cardamom, and orange juice add rich flavor to this glazed ham recipe. Slice it to serve with the whole cloves still attached because it looks so pretty, but remember to tell your guests not to eat the cloves. Think about grilling your ham this year! Fresh ginger root, ground ginger, and orange juice add flavor to this smoky leg.